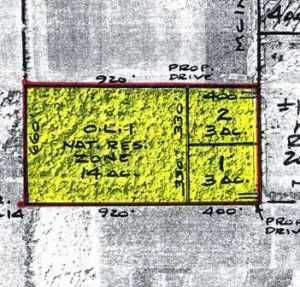 0 McIntyre Rd, Fort Atkinson, WI Lots and Land Property Listing | My-Dwelling, Inc.
20 acres; 14 zoned Natural Resources, (2) 3 acre buildable lots zoned A-3. Subject to final survey and perk test.Part of Parcel #016-0514-2134-000MUST SELL IN ENTIRETY. Own a site to build your dream home, complete with acres of beautiful wooded natural land to explore, engage with wildlife or just enjoy the beauty and serenity. These kind of parcels don't come along often. Take advantage of the location convenient to Fort Atkinson. $1,105 would be your approximate monthly principal and interest payment.